Trajectory Book 2 v1.0 is now uploaded and standing by, waiting to be auto-delivered to your Kindle on June 7th, 2016. If you haven’t got a copy yet, you can get your own for the introductory price of $4.99US, $5.99CAN. You can still buy it on release day if you’re not into the whole paying-for-something-before-you-can-get-it thing. 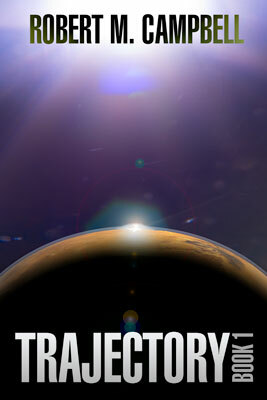 To celebrate, starting right now, Trajectory Book 1 is on sale for $1.99 on Amazon US, $2.99 in Canada. Perfect books for binging on your summer vacation! In the meantime, if you’ve read Trajectory Book 1 and haven’t left a review, you can still drop some stars on it on Amazon and Goodreads. Every review helps bump it up in the ranks and makes it that much more likely it’ll find its way onto a reader’s page in the Kindle store. Preorder. What was I thinking? It seemed like a good idea to set a deadline and have a target to shoot for. It was a great motivator. Amazon’s pressurey emails get increasingly menacing as you get closer and closer to the due date without a final version uploaded. It places some gentle stress and threatens with the possibility of losing preorder privileges for a year. I’m not sure, but I think the emails implied that they had other ways to exact their revenge from me. Subtle, terrible ways. Timing-wise, it was, perhaps, questionable. We were still looking for our place (found one!) and living with my folks who’ve been extremely generous letting us do this. Still, we’re aware that we’re invaders here and trying not to mess up my Mom’s rather specific decor with our stuff too badly, and mostly failing. I have headphones and computers all over the place. Without a dedicated desk to work off of, I’m distracted and uncomfortable. I need space to focus, so that’s a challenge. I lost a few days to driving the last of our stuff out here during the preorder run up. Really, I could have picked a further date to minimize some of that, but then it would have impacted our house search and you wouldn’t have a book to read. In the end, we got it done, so that’s the main thing. Now to go buy a house.